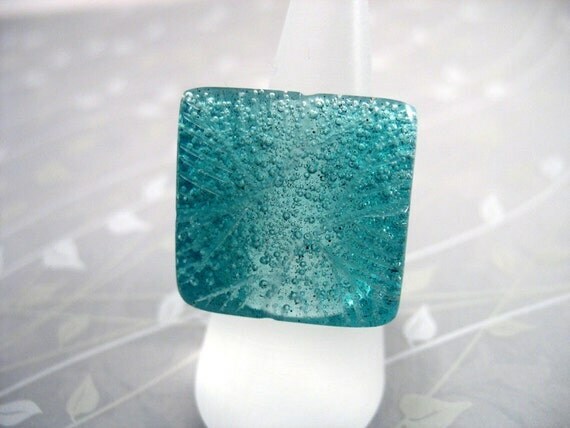 Start the party season with this bubbly, effervescent lovely teal blue square resin ring. The ring was made to capture the essence of the party season with lots of tiny bubbles placed to resemble rising champagne bubbles. The ring has a flat rectangular surface that is 2.1 by 2.2 cm with a feather design carved into the corners. This is a medium sized ring with an internal diameter of 1.8cm or a size 8 ring.